Under Invoicing and Auto Pay you can create multiple payment schedules which can be very useful to the user. 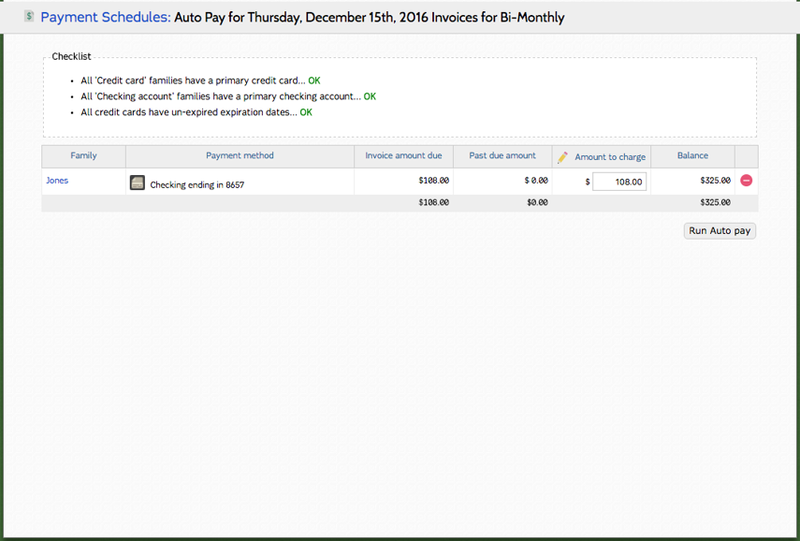 Select Invoicing and Auto pay. Select "Add payment schedule group..." to create a new payment group. 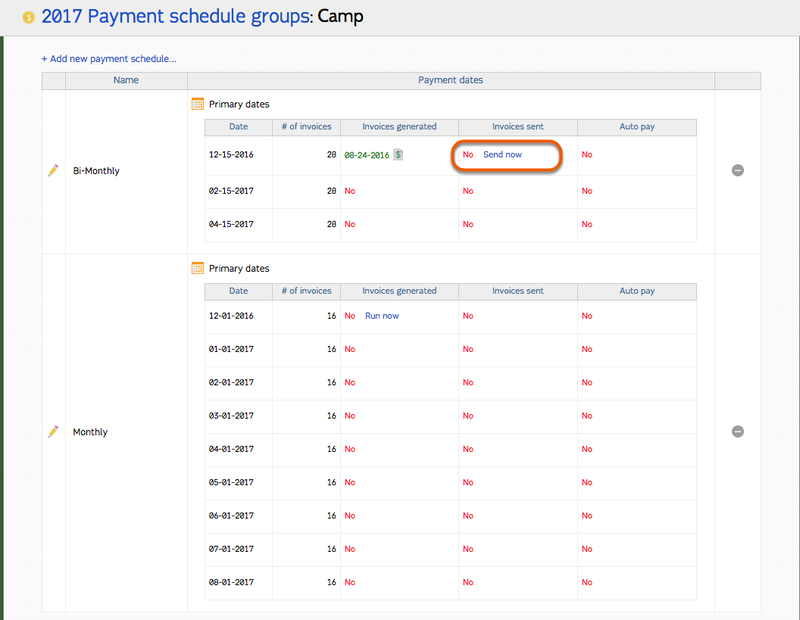 Double click the pencil model to edit any existing payment schedule groups. 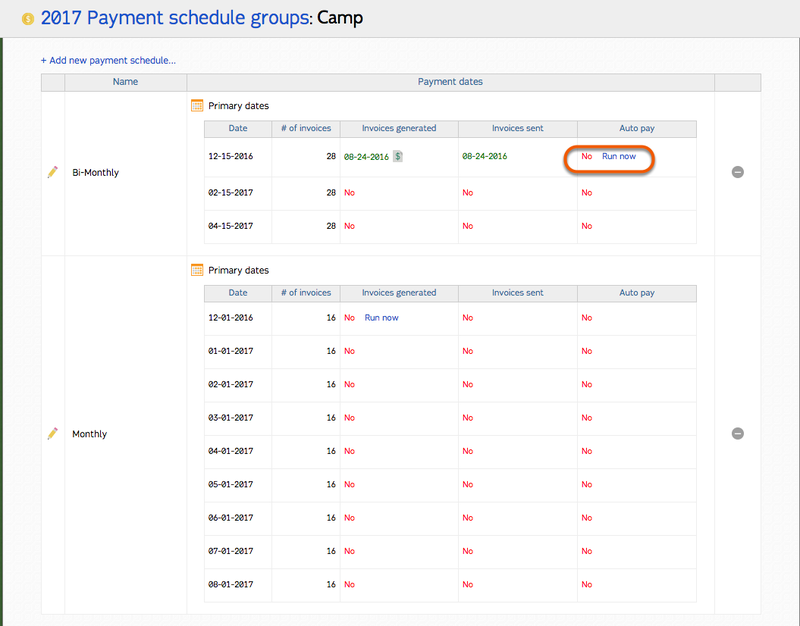 Click the name of the payment group to set up new payment schedules. 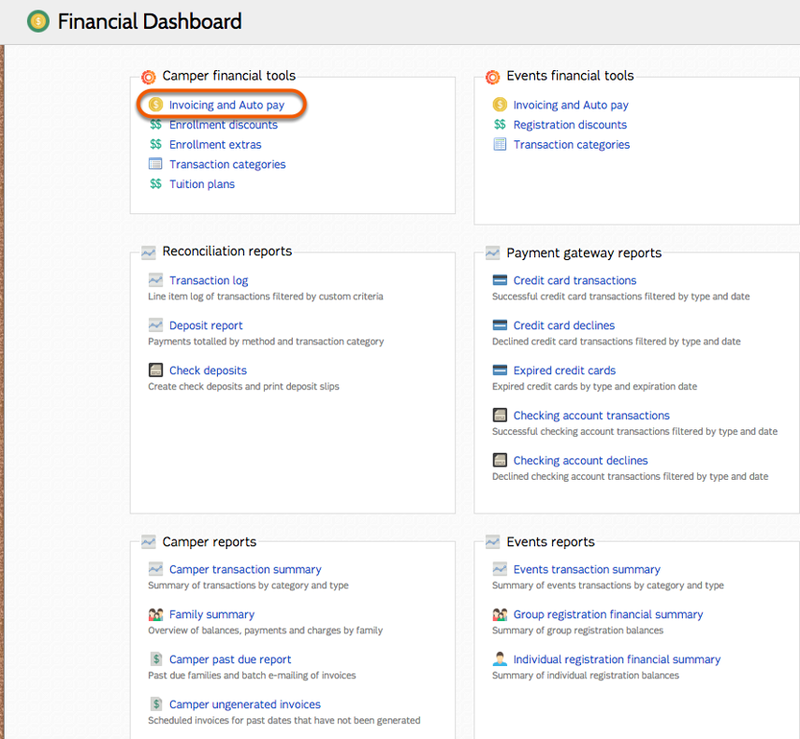 Here you can create new payment schedules, run invoices for families, and run auto pay if the family has selected that option. 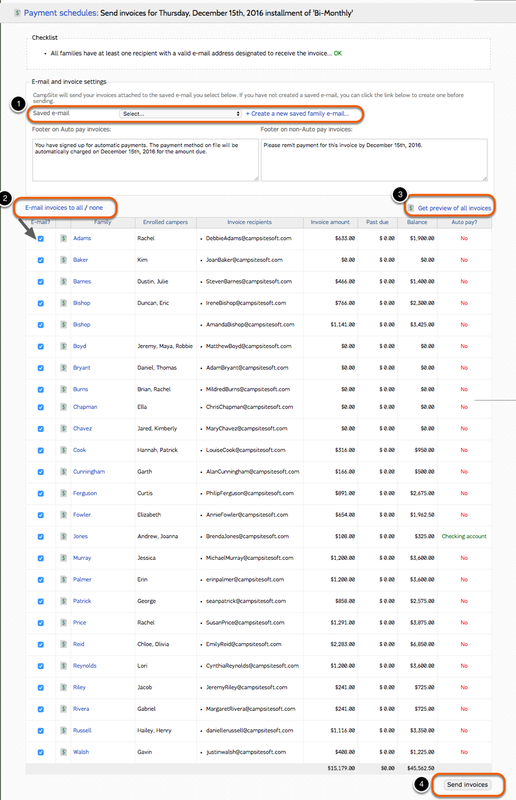 Either select "Get preview of all invoices or select them individually. Select this to remove "zero" amounts from your invoice list. 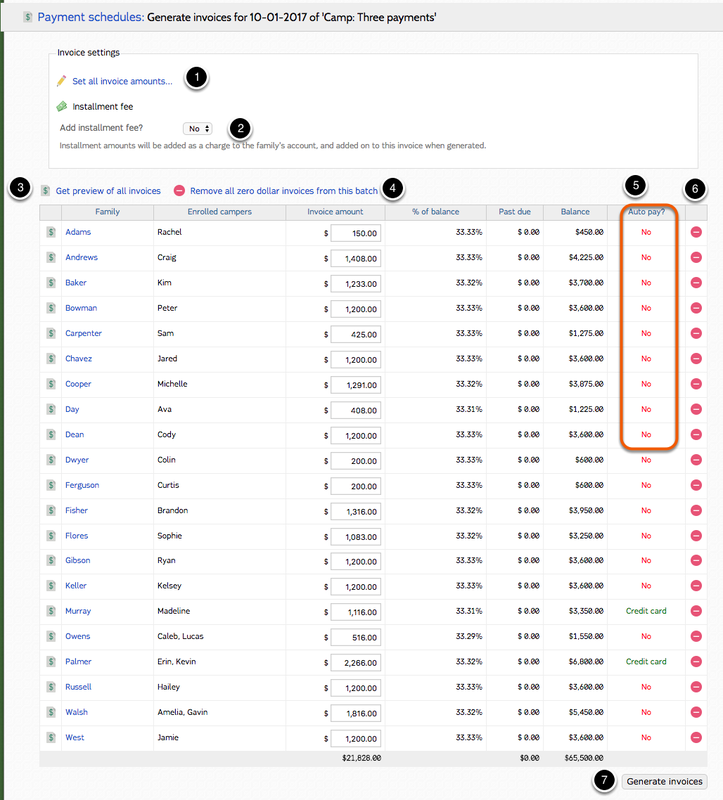 See which accounts have Auto pay switched on and which not not. Generate invoices to be sent out. Set all invoice amounts either as a fixed amount or a precentage. Select "Send now" to send invoices to families. 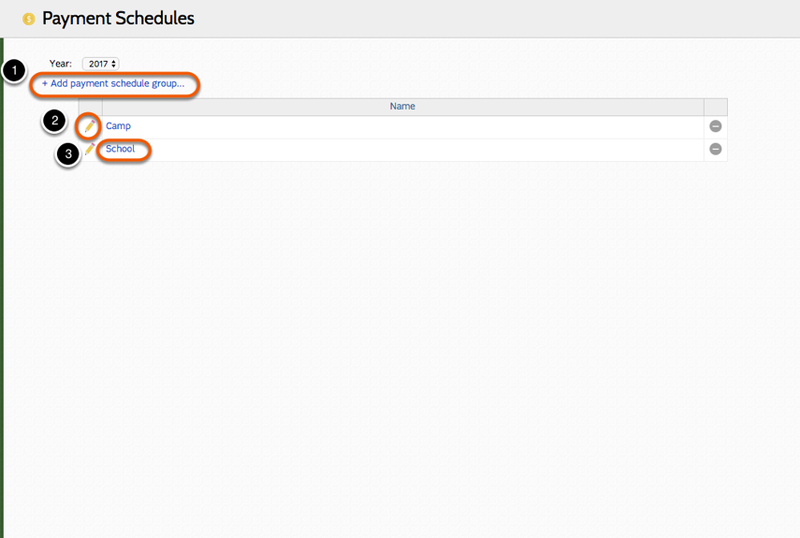 Select from a list of saved emails or create a new one to send out. 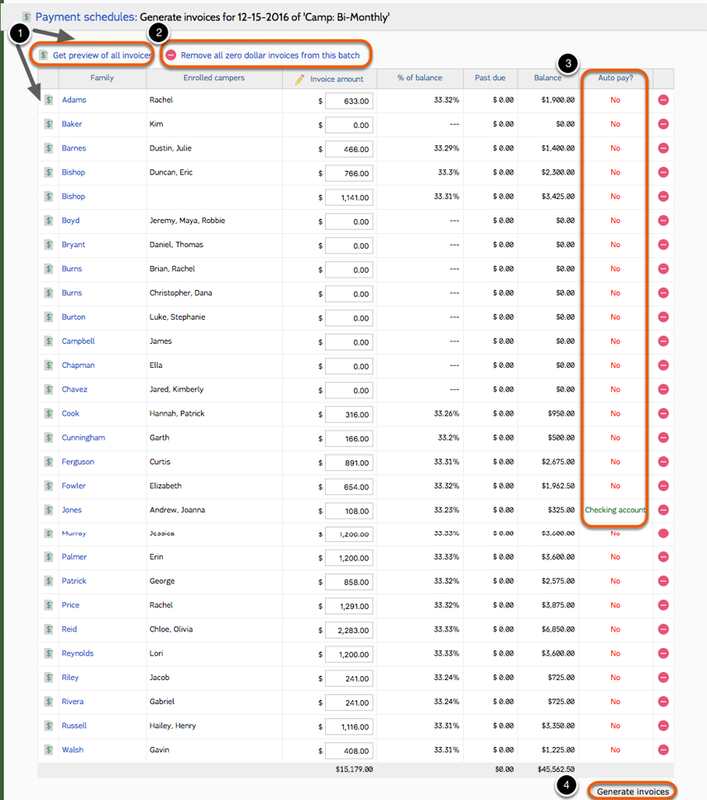 Select all/none or select on an individual basis. Preview the invoices before you send them out. When you're ready send the invoices. Now you can run any account that has signed up for Auto Pay. Don't forget to associate new payment schedules with a session! 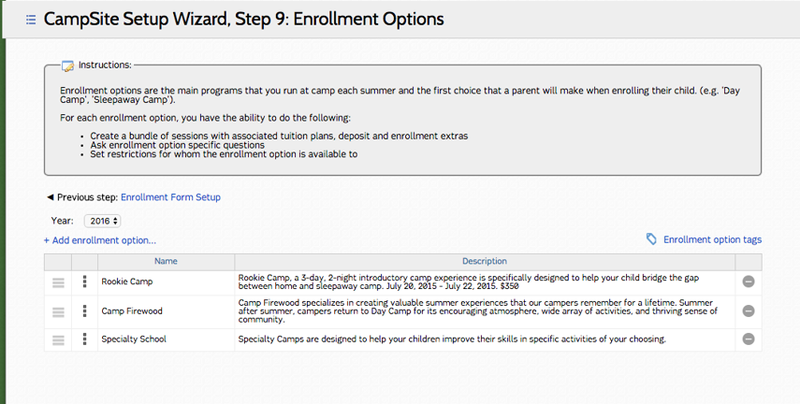 Under "Step 9:Enrollment Options" if you double click the "three dots" it will open a list of tabs. 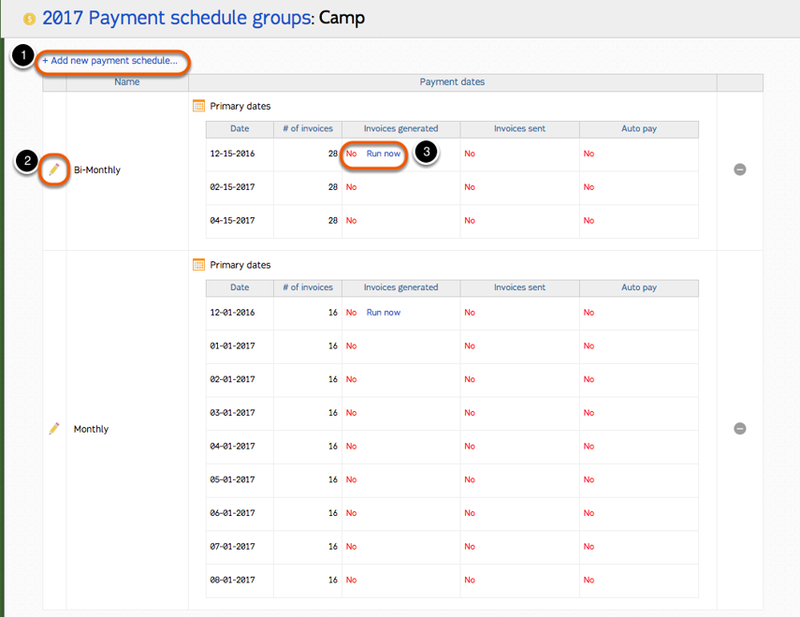 At the end of the list of tabs you will see "Payment schedule group". 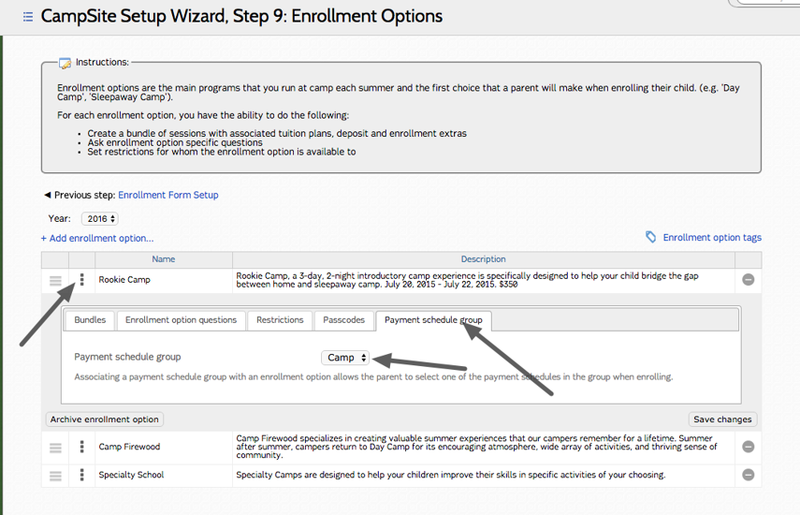 It is here that you can select from a dropdown which payment schedule you would like associated with a particular session.